Growth Driven Design is a smarter approach to web design. Did you know that the average prospect completes 70% of the sales process before even contacting your company? That's why your website is your greatest marketing asset and your best salesperson. That's also why a website redesign shouldn't happen every 2-4 years. It should be a continuous and tested process that you're always fine-tuning in order to generate the most revenue possible. A new approach to web design has replaced the traditional web design model. 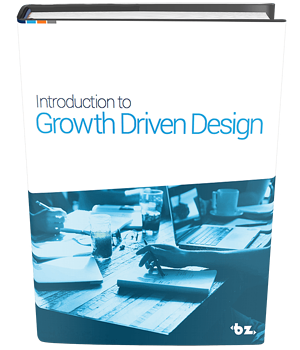 It's calledGrowth Driven Design (GDD) and it's producing fast results for businesses. Why traditional web design leaves your website open to risks & how GDD can fix it. The shift marketers need to make to generate the most money from their website. How using GDD will save your company time, money & resources. The impacts of GDD, including conversion boosts & improved user experience.